It is an abysmal stance. On the one hand, the military leadership is striving to act as hired facilitators and go out of the way to secure the US a political settlement for their bases, private military contractors and troops after a partial withdrawal. While on the other hand, it considers that it is only when India crosses the Line of Control/ Working Border that it is a misadventure that deserves a response. However, India’s butchering of hundreds of Muslims within the space of a year is not regarded as a misadventure. Prime Minister Imran Khan at a ceremony in Islamabad on 4 February 2019 launched the first phase of the countrywide Sehat Insaf Card scheme to provide free medical treatment to approximately 80 million people. 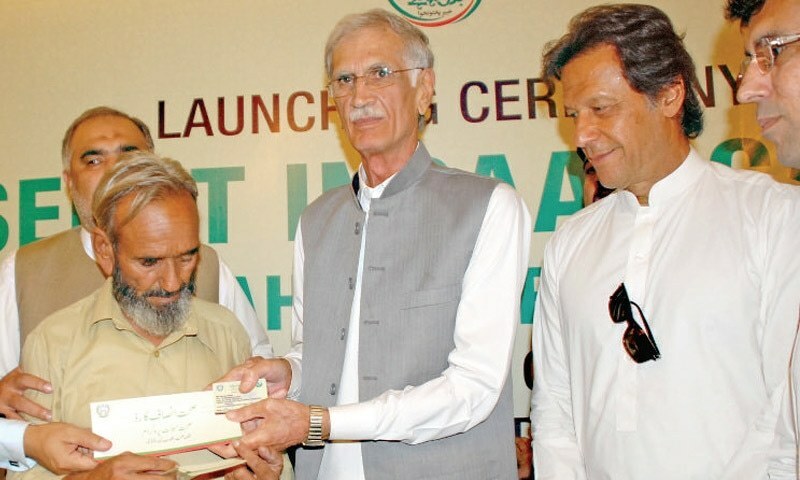 The card, which falls under the PTI’s Sehat Sahulat Programme, was part of a health insurance scheme first launched by the party in Khyber Pakhtunkhwa in 2016. In the scheme, citizens can get treatment at private and government hospitals via a health insurance card, whilst the premium of insurance companies shall be paid by the government. Capitalism has failed to provide free of cost treatment to patients, whilst concentrating wealth in the hands of the owners of private hospitals and insurance companies. Islam alone will solve the problem of health facilities in Pakistan. Islam has declared health as a basic need of the society and the Khilafah must provide free treatment for its citizens regardless of their color, race or religion. RasulAllah ﷺ said, «يَا عِبَادَ اللَّهِ تَدَاوَوْا» “O servants of Allah seek treatment.” During the Battle of Khandaq, he ﷺ came across wounded soldiers and ordered a tent to be assembled to provide medical care. The institution of the “Bimiristan” (Abode of the Sick) was a great relief for the people in the Khilafah state throughout its history. The al-Mansuri Hospital, established in Cairo in 1283, had accommodation for 8,000 patients, with two nursing attendants for each patient. Every patient was provided bedding and vessels for eating. This hospital treated in-patients and out-patients, giving them free food and medicine. In the time of the Khilafah, there were mobile dispensaries and clinics for the proper medical care of the disabled and those living in the remote areas. The neglect of our health is another reminder of the urgent need for us to answer the call of Allah (swt) and His Messenger ﷺ by establishing our great Deen to look after our affairs. Petroleum Minister, Ghulam Sarwar Khan, on 2 February 2019 admitted that inflated gas bills were a burden on consumers. He offered them a “relief” by saying they could pay the hefty bills in four equal instalments. The facility, according to the minister, will only be available to the consumers who have received bills of Rs. 20000 or more. The Sui Southern Gas Company Limited (SSGCL) and the Sui Northern Gas Pipelines Limited (SNGPL) had been directed to refrain from cutting gas supply to such consumers for delayed payment. On 17 September 2018, the PTI government increased natural gas prices by up to 143% to recover Rs94 billion from consumers in effect slashing consumer subsidies. At that time, the regime claimed that 98% percent of domestic consumers will not be severely affected by this increase. It claimed that a 10% and 30% rise for those who use less than 100 mmcfd and less than 400 mmcfd respectively. The regime claimed that only 2% of consumers will be burdened with a hefty rise of 143% in gas prices, who use more than 500 mmcfd. However, in the winter, the consumption of gas increases very significantly as domestic consumers use gas for heating rooms and warming water for ablution, besides cooking food. So, in winter even those consumers who use less than 100mmcfd usually go beyond 500 mmcfd. So, when domestic consumers received their gas bills this time in winter, most were shocked to see that their gas bills were two to three times more than last winter. The people will never receive any respite under the current capitalist economic system. This economic system ensures that gas is private or state property. Currently, gas wells are either private property or in a private-state partnership. The private company or state charge excessively without regard for the hardship of the people. Private partners in gas break the backs of people to extract profits, whilst the state breaks the backs of the people to pay interest on loans, such that interest comprises three quarters of debt payments. In contrast to capitalism, Islam’s economic system stipulates that gas is public property in which the entire public are partners in its benefit. RasulAllah ﷺ said, «الْمُسْلِمُونَ شُرَكَاءُ فِي ثَلَاثٍ الْمَاءِ وَالْكَلَإِ وَالنَّار» “The Muslims are partners in three things, waters, feeding pastures and fire.” (Ahmad). The term ‘fire’ here includes all forms of energy used as fuel. In the Khilafah (Caliphate) on the Method of Prophethood gas is neither state nor private property, nor a private-state partnership. Gas will be public property which the state supervises as the representative of the people, so that they fully benefit of its price or its use. This command of Islam’s economic system would bring relief to domestic users, as well as the industrial, commercial and agricultural sectors in the form of affordable prices.